We all love a good deal, especially before a new school year rolls again. But know what makes a back-to-school sale even sweeter? This weekend, August 7-9, is your chance to enjoy tax-free shopping if you live in or near 11 states that temporarily waive sales tax. It’s a great opportunity to save money on clothes, back-to-school supplies, emergency gear and other items. Ready to take advantage of the discount? Here’s a list of states that participate, both this weekend and later in August, as well as details on how their tax breaks work. If you live in Iowa, Louisiana, Alabama, Missouri, New Mexico, Ohio, Oklahoma, South Carolina, Tennessee, Texas or Virginia, this weekend could bring you some big savings. And if you live near one of those states and are willing to drive there to shop, the tax-free weekend is a win for you, too. People in Maryland, Florida, Massachusetts and Connecticut can plan on cashing in later this month. More details on those dates below. How Does a Tax Holiday Work? For discount shoppers, this is the best kind of holiday. Each state designates special days when it won’t collect its sales tax. In Iowa, for example, one of the states participating this weekend, sales tax is 6%. If you were to purchase $1,000 worth of eligible items, you would save the $60 you would normally spend on sales tax. Most states have dollar limits on how much you can spend per item (or, occasionally, per category). For example, many states have a $100 limit on clothing. Typically, this means you don’t have to pay state sales tax on items that cost $99.99 or less. You can usually buy — and save on — as many of these sub-$100 items as you like. For example, if you want to purchase two $60 sweaters, you won’t pay sales tax on either one, even though they add up to more than $100. However, you can’t split up items typically sold together. So if you’ve had your eye on a $120 pair of shoes, don’t bother trying to convince the clerk to sell you two $60 single shoes. What are the Rules for Tax-Free Weekends? Every state has different rules and exemptions, so be sure to check the rules in your state before you plan your shopping spree. Typically, you don’t have to be a resident to receive the exemption, though business owners normally cannot receive the exemption on items purchased for business use. While state sales tax is waived, many city and local sales taxes still apply during these periods, so keep that in mind. What Other Tax Holidays are on the Calendar? While many states celebrate a tax holiday in August to help families stock up on back-to-school items, this month isn’t the only time when you can get a state sales tax break. Several states offer multiple tax holidays each year, with some dates specified for items such as Energy Star products and hurricane preparedness gear. Check here for a full list of tax holidays. Below are the tax holidays coming up this month in 14 different states. To get the best deals, check specific rules and regulations for your state. Iowa: Pay no sales tax on clothing items that cost $100 or less. Complete rules here. Louisiana: Enjoy a sales-tax holiday on “all tangible personal property” valued up to $2,500. This means you can save on just about anything you can pick up and carry from furniture, to clothing, to household items. Vehicles and meals are excluded. This sales-tax holiday only applies to the 4% state tax, but if you buy something for $2,400, you’ll save $96 if you buy it during this tax holiday. Complete rules here. Alabama: This is the 10th year Alabama is celebrating a state sales-tax holiday. Save on clothing items up to $100, computers up to $750, school supplies up to $50 and books up to $30. Check here for a full list of items and exclusions. This state has specific rules, so be sure to read the regulations closely. For example, you have to pay sales tax on a belt buckle, but not a belt. Check here for complete rules. Missouri: This is one of the states with the highest per-item limits on certain goods, including computers and computer peripheral devices that cost up to $3,500, clothing up to $100, school supplies up to $50 and computer software up to $350. Before you plan your shopping spree, check the rules on what does and doesn’t receive the sales tax exclusion. You might be surprised. Adding machine tape, power strips, stand-alone printers, paper trimmers, digital cameras, envelopes and many other items do not qualify. Complete rules here. New Mexico: Pay no sales tax on clothing or footwear (up to $100), computers (up to $1,000), computer equipment (up to $500) and school supplies (up to $30). Complete rules here. Ohio: The Buckeye state is celebrating a new, one-time sales-tax holiday. Save on clothing (up to $75) and school supplies and instructional materials (up to $20). Full rules here. Oklahoma: Stock up on clothing purchases under $100 with this clothing-specific sales-tax holiday. Rules here. South Carolina: Skip the sales tax on clothing, school supplies and computers. No price limits are specified, but check the full rules here. Tennessee: It’s a good weekend to buy a computer in Tennessee, where you save state sales tax on purchases up to $1,500. You can also skip the sales tax on clothes and school supplies (up to $100). Complete rules here. Texas: Save up to $8 for every $100 you spend in Texas this weekend. Purchase clothing, backpacks and school supplies of up to $100 and you’re exempt from sales tax. Full rules here. Virginia: August isn’t just back-to-school time in Virginia, it’s also time to be prepared to save energy and water and be ready for emergencies. You don’t have to pay state sales tax if you purchase up to $2,500 in Energy Star and WaterSense products this weekend, as well as clothing ($100 limit) and school supplies ($20 limit). The state is also encouraging hurricane preparedness by skipping the sales tax on generators (up to $1,000), gas-powered chainsaws (up to $350) and other items including batteries, flashlights, tarps, gas tanks, fire extinguishers, duct tape, first aid kids and cell phone chargers. Complete rules here. Florida: Stock up on clothing items (up to $100), school supplies (up to $15) and the first $750 of a computer purchase this week. This discount does not apply to items you might purchase at theme parks, airports or other entertainment destinations, so don’t plan on stocking up on Mickey gear this week. Full rules here. Maryland: Enjoy a whole week of savings in Maryland, where you don’t have to pay state sales tax on clothing and footwear purchases of up to $100. Complete rules here. Massachusetts: Save on items that cost up to $2,500 for two days this month. Cars, restaurants meals and tobacco are excluded, but most other items apply. 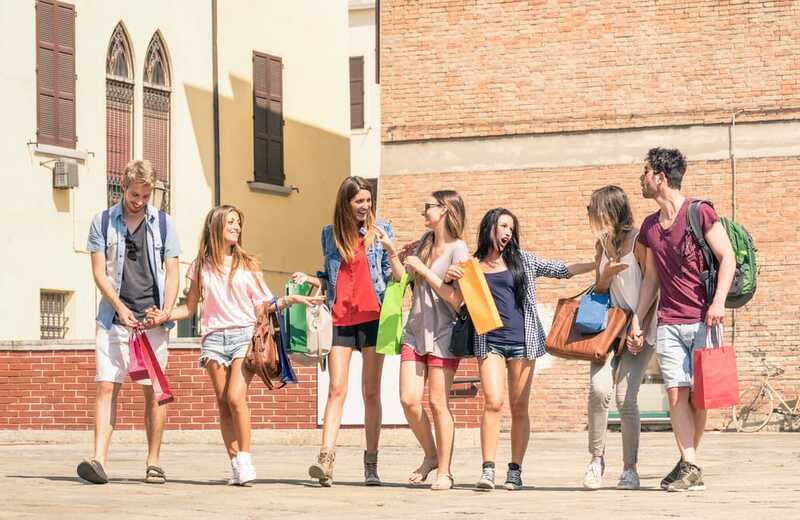 Connecticut: Enjoy a tax holiday on clothing and footwear items that cost up to $100 during this great shopping period. Complete rules here. Your Turn: Will you take advantage of the tax holiday in your state or a neighboring one? What’s on your shopping list?